Tom Wolfe's agent Lynn Nesbit told several media the author died Monday in a Manhattan hospital, where he was being treated for an infection. 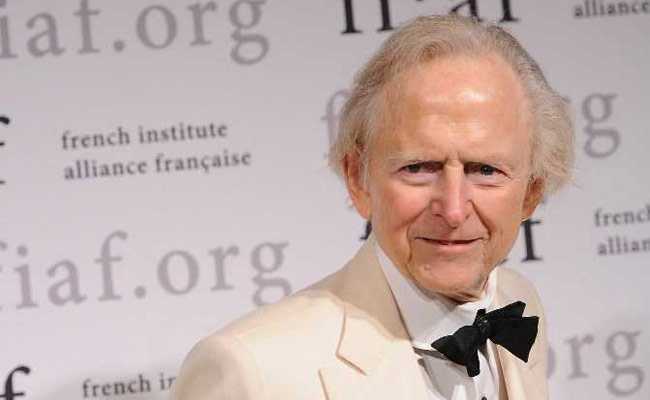 New York: Tom Wolfe, the groundbreaking American journalist and novelist best known for "The Right Stuff" and "The Bonfire of the Vanities," has died, US media reported on Tuesday. He was 88. Wolfe's agent Lynn Nesbit told several media the author died Monday in a Manhattan hospital, where he was being treated for an infection. During a prolific career, Wolfe turned his scathing pen to pop culture, the hippie movement, the art world, LSD, race relations and the lives of astronauts. A dapper dresser and New York icon, Wolfe was known for his trademark white suits, homburg hats and white kid gloves. Wolfe started his career as a newspaper reporter. His first book, a collection of articles about the flamboyant Sixties, was published in 1965 as "The Kandy-Kolored Tangerine-Flake Streamline Baby." The book became a bestseller and established Wolfe as a leading figure in the "New Journalism" movement, which also included in its ranks Hunter S. Thompson, Norman Mailer and Truman Capote. Wolfe's 1979 bestseller "The Right Stuff" focused on the US astronauts involved in the space race with the Soviet Union. It was made into a Hollywood hit starring Sam Shepard and made the test pilot Chuck Yeager a household name. Wolfe moved to writing novels in the mid-1980s, penning "The Bonfire of the Vanities." A snapshot of the moneyed life in New York, it was recognized as an essential American novel of the 1980s and was later made into a film starring Tom Hanks.